This post is based on a leading German education veteran called Bernhard Bueb who led the renowned boarding school Schule Schloss Salem in south Germany. This can only occur if students accept their parents and teachers as their leaders who act in their interest. Parents and teachers carry the responsibility to act as potters who mould their children by setting appropriate tasks. As young people develop the ability to set their own goals and pursue them they earn independence of external guidance. The Schule Schloss Salem is a world renowned boarding school located in the south of Germany. It has been educating the elite since 1920 including Prince Philip – Duke of Edinburgh, Queen Sofia of Spain and Princess Irene of Greece and Denmark. 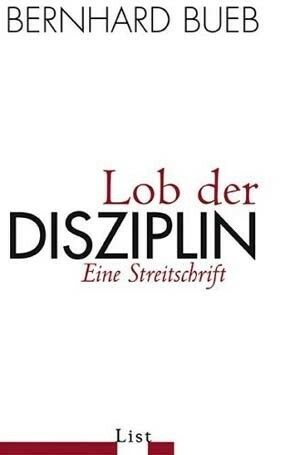 Bernhard Bueb, headmaster of the school between 1974-2005, published a bestselling book in 2006 entitled “Lob der Disziplin: Eine Streitschrift” (translation: “Praising Discipline: A Polemic”) (Source). In it, Mr. Bueb talks about the importance of discipline in education, as witnessed at Schule Schloss Salem. This post recounts some of the points he made to an English speaking audience. People usually don’t like the word ‘discipline’ very much. We associate it with things like duty, rules, self-control and even compulsion and submission. Discipline requires effort, which humans actively try to avoid. However, we admire people who are disciplined. It is a universally sought after character trait because it allows one to overcome difficulties and reach goals. 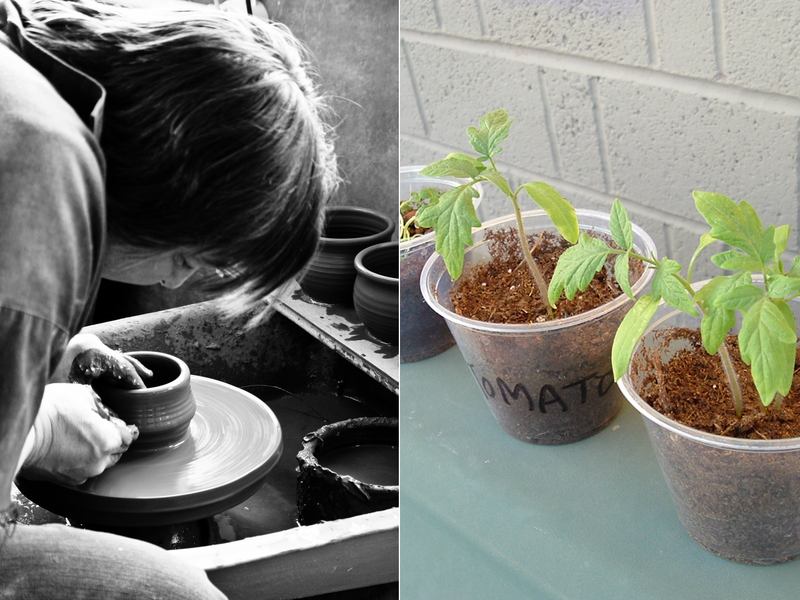 Bueb groups teachers and their teaching styles into gardeners and potters. Teaching like a gardener means to promote, foster, nurture, encourage, facilitate and support your students. They believe that students will find their way all by themselves if they follow their interests and get the necessary support from their teachers. On the other hand, teaching like a potter means to force, demand and push students as well as subject them to the leadership of the teacher. In other words, they demand discipline. 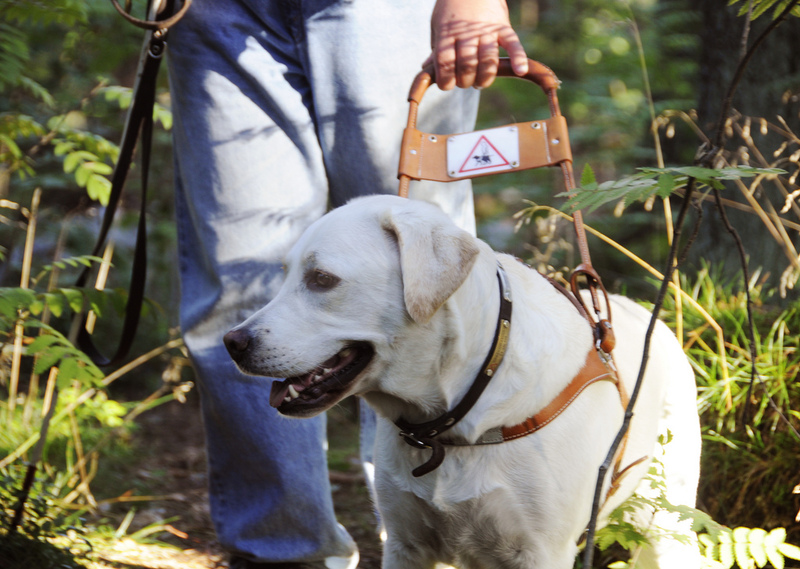 Such teachers see themselves as blind dogs that guide students along a path they believe to be appropriate. Today’s zeitgeist clearly favours the gardener. The teaching profession is shifting from a role of authority and leadership to a role of mentoring and nurturing. Students are given more and more choice in their studies and their extracurricular activities instead of having teachers decide what would be most appropriate for them. I would like to argue for the potters among the teachers. I believe we need more discipline in schools because it is in the best interest of the very students we teach. An infant is hardly able to suppress its desires. It acts out of pure impulse. By forcing a young person to do something they don’t like they can learn to appreciate the positive outcomes that come with effort. They learn that suppressing their impulses and resist temptations can have great benefits. 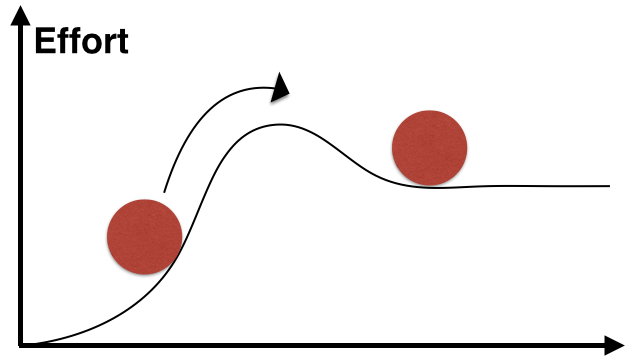 The graph below illustrates how we reach our goals by overcoming initial effort. For example, a student prepares tirelessly for the big drama class performance. Another student studies for days on end for the upcoming exams. Such behaviour is not trivial and needs to be taught through many cycles of repetition. It takes many years of schooling and lots of parental guidance to engrain an understanding of how making an effort leads to desirable outcomes. Eventually, students learn to discipline themselves and become free from guidance – they become more free. In school, teachers impose their authority over students by setting challenging tasks they don’t necessarily want to do because teachers want them to experience the positive outcomes of their demands. With time, students learn to apply their effort-making abilities to reach their own goals, essentially achieving self-discipline. This earns them more freedom because they become able to pursue their own goals without the guidance of a mentor. However, the first steps in their early years can only be achieved with the help of enforced guidance because young people are most of the time not able to see the advantages of making an effort without having experienced it themselves. The German poet Paul Fläming said that “he who masters and can control himself can conquer the whole wide world” (translated from German). Children think that freedom means the exemption of rules (e.g. ‘the freedom to drink alcohol’ or ‘the freedom to stay at the party until midnight’). These rules exist for the protection of young people. They can be lifted if children show that they can handle that freedom responsibly. In the ideal case, parents and teachers act like a benevolent dictatorship that gives more freedom to a child as it matures. Bernhard Bueb suggests that schools should teach their students more discipline. The goal still is to educate independent minds that can set and pursue their own goals without the guidance of another person, but that ability needs to be taught. Teachers and the school leadership should use their knowledge of the individual student to select coursework and activities that are more beneficial to the development of the student. This requires that students and parents trust the judgment of teachers and school leadership to make the right choices towards the development of a child. Asking young people to do things they don’t like (e.g. coursework) will strain the relationship to the student, but it can endure if the student can trust the leadership of the teacher. I’d love to hear your opinion on this. Do you agree with this train of thought and have something to add? Do you have some counter-arguments? This entry was posted in Uncategorized and tagged bueb, discipline, education, relationship, teachers, trust on December 5, 2015 by philippmikio.